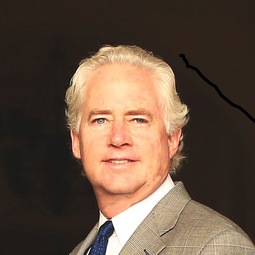 Paul E. Smithers has served as the President and Chief Executive Officer of Innovative Industrial Properties, Inc., since its formation and is one of the company’s directors. From August 2013 to July 2015, Mr. Smithers served as Co-Founder and Chief Legal Officer of Iso Nano International, LLC, a designer and manufacturer of advanced materials for use in the aerospace, consumer goods, electronics and safety industries. Prior to his time at Iso Nano, he was the Managing Partner of Smithers & Player, Attorneys at Law from September 1989 to July 2013 and was with the law firm of Ropers, Majeski in San Francisco from 1982 through 1988. Much of Mr. Smithers’ 35 years of legal experience has involved both commercial and residential real estate transactions and disputes. He is a member of the California Bar and a licensed California real estate broker. In his exclusive interview with the Wall Street Transcript, Mr. Smithers details the methods behind his underwriting of industrial medical marijuana facilities. The underwriting potential for this asset category is projected to have enormous potential. For the specific financial and legal strategy of the CEO of Innovative Industrial Properties, read the entire interview in the Wall Street Transcript. Cannabis and Fires: Can this Bank Make Money in Northern California?